This piece by former Texas Collection director Kent Keeth originally was published in The Baylor Line in April 1976, then was reprinted in Looking Back at Baylor (1985), a collection of Keeth and Harry Marsh’s historical columns for the Line. 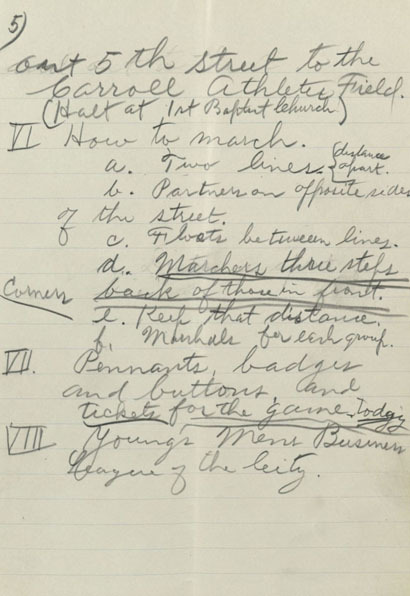 Blogging about Texas periodically features selections from Looking Back at Baylor, with hopes of sharing Keeth’s work with a new audience. With the start of the fall semester kicking off this week, we welcome a new class of students who will begin to make new friends and join new organizations as Baylor becomes their home. 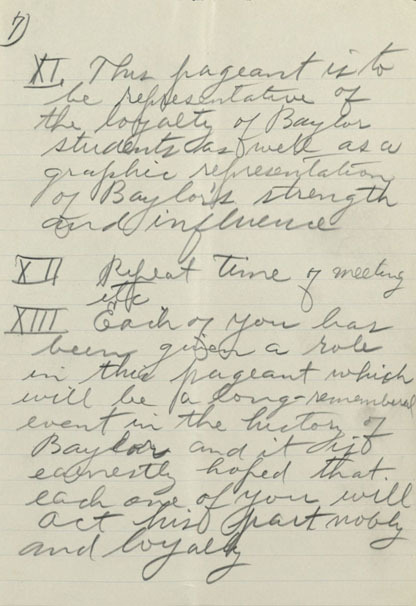 There was a time when Baylor did not have national fraternal organizations for students to join and in the early years many students belonged to literary societies. Read on to learn about their competitiveness and “rush season”, as told by a 1909 Baylor graduate. 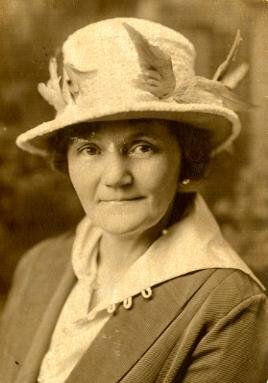 Born on 1868 June 12, Maggie Welch Rose Akin primarily grew up in Texas. This photo is a part of the Akin-Rose papers, which consists primarily of over three hundred letters written between Maggie and Joseph W. Akin during their courtship from 1887 March to 1889 December. Photo circa 1945, box 14, folder 16. Akin-Rose papers, 1819-1981, undated: Correspondence, diaries, financial and literary manuscripts, and photographs of members of the Akin and Rose families from Virginia and Texas in the early nineteenth century to the late twentieth century. Joseph Martin Dawson papers, 1826-1989: Personal papers and published works of Dr. Joseph Martin Dawson, a Baptist preacher who was influential in the public debates concerning religious liberty and the separation of church and state in the early twentieth century. BU Records: Erisophian Literary Society, 1853-1961, undated: Administrative records, literary productions, and correspondence related to this student organization at Baylor that existed between 1853 and 1932 at both the Independence and Waco campuses. Graves-Earle family papers, 1848-1963, undated: These papers chronicle the history of this influential McLennan County family, including the life and work of Major Isham Harrison Earle and his daughter Dr. Hallie Earle, the first female doctor in Waco and the first female graduate of the Baylor College of Medicine. William E. Moore papers, 1901-1979, undated: The bulk of this collection is the Postcards series, consisting of more than 400 postcards. 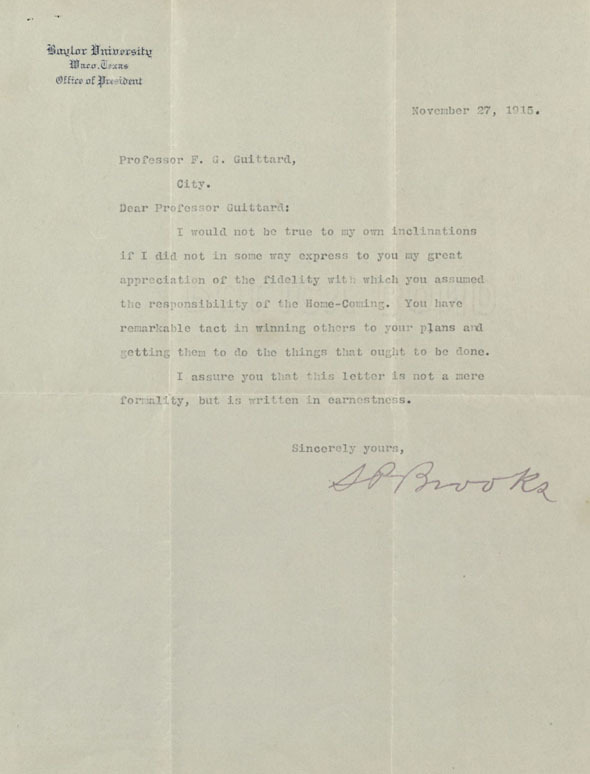 The collection also contains more than 100 letters written to William E. Moore between 1902 and 1918. The Erisophian Literary Society was the second literary society formed at Baylor University in Independence, Texas. This membership certificate (box 3, folder 1) is one of the oldest pieces in the organization’s records. Henry B. Nowlin family collection, 1914-1926, undated: The Nowlin family lived in Central Texas during World War I, a conflict in which Henry and some of his brothers took part. The materials are largely related to Henry’s service in the American Expeditionary Force. Reagan-Pettigrew family papers, 1844-1917, undated: Correspondence, military and legal documents, and literary productions about life in Arkansas and Texas during and after the Civil War. BU Records: University Committee on AIDS, 1980-1989, undated: Documents produced by the committee, such as informational brochures, surveys, and drafts of AIDS policy statements, as well as research materials collected by committee members.